A few days ago I posted Robert Downey Jr.’s version of River as my #SundaySong on my Facebook page. While the song is very important to me, I focused more on how his version is gut-wrenchingly beautiful, & the video I picked is fantastic eye-candy. I want to expand on the significance River holds for me, but first, a bit of background. If you know me at all, you know I have serious love of RDJ. Most of which can be traced to his joining the cast of of Ally McBeal. If you never watched the show, know it had it’s highs an lows, but his character’s love story with Ally is the one she was meant to have. His performance is fantastic, but on top of that, he sang. And he sang River on the show, and later it was on the Very Ally Christmas album. Anyway Robert Downey Jr has a voice I adore, so this is by far my favorite version of the song. But that’s not really why it’s important to me. Long ago & far away I was a photography student in small college in West Virginia. For lots of reasons I was a bit older than most of my peers, yet tended to have a bit less confidence. One day I was working in the dark room & noticed a page of notebook paper posted on the bulletin board. On it was written few lines from the song River, by Joni Mitchell. Now, I will admit I only really knew the song because the Indigo Girls covered it. Never the less, I knew the next lines & wrote them underneath what was posted. As it turns out, it was SisterCat who had written the lyrics out & she was curious who’d replied. Although we’d known each other before, and frankly I don’t think either of us gave a hoot either way about the other. So our real friendship can be traced to those lyrics tacked up in the darkroom – a totally random urge by her, and by me in replying. It is hard to imagine what my life would be, were it not for the wonderful woman that is SisterCat. For one thing, she’s hella fun & we’ve had amazing adventures & equally amazing chats in her kitchen. But she has saved me in ways large & small more times than I can even recount, and certainly more than she even knows. Moreover, she’s stood by me, held my hand, rubbed my feet, and given me an alternate perspective, even a good talking to. All without ever judging me or loving me any less. And whenever I have need to skate away, my river leads right to her door. On Friday I will pack a small bag and make the 6 hour trek down to her house on what has become my annual holiday retreat. At some point in my drive this song will play & I’ll again ponder what I ever did to bring such a friend into my life? I wrote a few bits of a song on a sheet of paper. 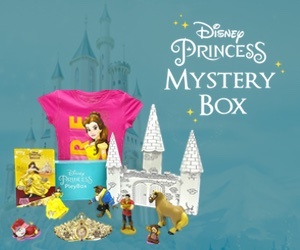 Aww, I loved this. I don't think I've ever read one of your blog posts before today, but I'm definitely following now. 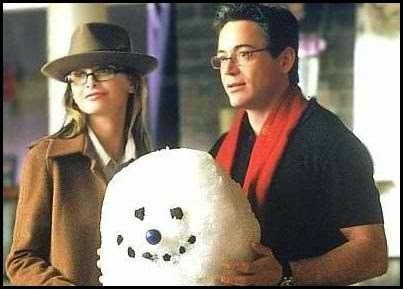 I love that song too (I asked for a Joni Mitchell CD for Christmas, kickin' it old school), and I loved Ally McBeal but strangely like most of my 20s, I've forgotten that Robert Downey Jr. was in it! And I have loved him since the movie The Pickup Artist with Molly Ringwald. What a wonderful, and yes, serendipitous friendship you have with SisterCat, and what a cool way to have found it. Well, thank you so much Ashely! What a whole bag of wonderful compliments right there! Speaking of lost memories of my 20s, I have to go back and re-watch The Pickup Artist, as well as Chances Are & Heart and Souls. Oh I do love Heart and Souls! Isn't it funny how a small moment like that can change your life for the better? When we adopted our second child, we knew that he had family that lived near by but never imagined we'd develop a relationship with them. When they got in touch with us, we were very nervous (it's one thing to say your want an open adoption and whole 'nother one to acutally do it!) but agreed to meet with them regularly. I think it surprised all of us how well we all got along and how easy it was to overcome the cultural and language barriers between us. Now my son's birth-grandparents are my own surrogate parents- my life, and my family's life would be emptier without them in it. Great post! Thanks for sharing and for linking up through the Shine Blog hop! Music is amazing…it has such a way of speaking to our souls. Thanks for sharing.